Four-year-old Ellen is snatched by a stranger in the dead of night. Her devastated mother, Nicole, receives four identical phials and a threatening note in a familiar scrawl that chills her to the bone. But she always knew this would happen. She’s been expecting it for years. According to the note, one of the phials is poisoned. Nicole is given a deadly challenge: if she drinks one, the sadistic kidnapper will notify the police of Ellen’s location. The sender claims to be Luka Volkov but Luka is supposed to be dead, killed long ago in a fire that haunts all those involved. DI Amy Winter is still reeling from the discovery that she is the daughter of a serial killer, and her childhood trauma only makes her more determined to bring Ellen home. When another child is taken, Amy finds herself in a race against time. To rescue the children, must she seek help from the one person she wants to forget? In the first novel in the D.I. Amy Winter series, Amy learns that she has a notorious serial killer for a mother. If you've not yet read Truth and Lies I urge you to pick up a copy. Although The Secret Child reads well as a stand alone, there are references to events that happened in first book, (though they are well explained) plus it's the perfect introduction to the character! In this second outing for Amy, we are plunged into tension immediately as the kidnapper strikes, spiriting little Ellen away. I was on the edge of my seat straight away, not knowing what was about to happen. Caroline Mitchell is fantastic at conjuring up an air of menace and keeping it palpable throughout, whilst simultaneously juggling several other interwoven storylines. Her finger never wavering off the pulse for a second as she seamlessly ties all the invisible ends together in one fell swoop that just made me gasp and shout 'Nooooo!' very loudly at my kindle! I will never tire of reading Caroline's books because they are simply unputdownable and I can never forsee what is going to happen. Special thanks to Caroline Mitchell, Thomas & Mercer for providing a review copy via Netgalley. This is my unbiased review. It started with a phone call. With just one word: ‘Jessica’ - and now Detective Inspector Jessica Daniel has a big problem. Her missing friend, Bex, called from a battered seaside payphone and yet, by the time Jessica arrived, there was nobody there. One man claims he can help – but then he turns up on a beach stabbed to death. Jessica believes someone must be framing her. Someone who is always a step ahead. When she finds a boy whose tattoo matches Bex's, she becomes more desperate than ever for answers. But, with the police growing more suspicious, Jessica doesn’t have long to find Bex before she becomes the prime suspect for a murder. With more than her career at stake, can Jessica clear her name - and find her friend – before it’s too late for them both? I really enjoyed seeing Jessica step away from the office and the complete change of environment for her in this book. Her search for the elusive Bex is fraught with mystery and red herrings that just more frustrating with each turn of the page. 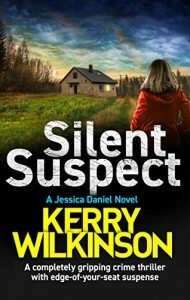 Kerry Wilkinson winds the tension ever tighter with each and every chapter as Jessica's clue's towards Bex's location turn quite literally into dead ends. As Jessica seeks help from a character seen in previous novels, it feels good to revisit that character interaction with Jessica. The police are on her tail and she needs someone she can trust. Typically, the author's character detailing is second to none and his description of the environment, both the city and the rural landscape is stunning. I could almost feel the earth beneath my hands as Jessica was scrambling around. This was a book full of trepidation, which the author kept up all the way through. 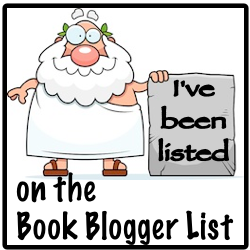 There were shocks and surprises and I'm really looking forward to the next book in the series! This is a deadly game like no other with a plot that will have you shouting at your kindle/book in disbelief, make no mistake about about it. Stuart James has constructed a cleverly interconnected web of characters with a story that is pure evil. There are twists at every corner, the intelligently written tale barely giving you time to recover from the last revelation before you are sent hurtling off another knife edge. I've read many crime and psychological thriller novels and am rarely shocked, but this author managed to do it twice in one book - with the plot itself, and with the final twist. You're not forgiven Mr James! Seventeen years ago, Damian Walker abducted five women because the voices in his head told him to. Now he has been declared sane and is about to be released back onto Manchester’s streets with a new identity. But within hours, there is another attack similar to his previous ones. Walker has proof it’s not him – but is he reliable, and, if so, who is trying to frame him? DI Jessica Daniel and her chief are given a parallel task to the main investigation: keep an eye on Walker – but that’s not all Jessica has to do. Rock star Blaine Banner is playing a series of homecoming gigs but is convinced someone’s trying to kill him, while a bride-to-be is picketing the police station, demanding someone finds her missing fiancé. All the while, faces from Jessica’s past are watching and waiting. Someone wants a word . . . I adore Jessica Daniel and in this book she faces some of her toughest challenges yet, in both her professional and personal life. Focusing mainly on her work, Jessica has difficult cases to crack and a team of mainly familiar faces to ably assist her. There was plenty going on to keep me interested, from Jessica's flits to assist rock star Blaine at all hours and the added tension of a side team on surveillance, but ultimately I felt the identity of the killer somewhat unbelievable, hence not awarding five stars. But an entertaining, engrossing read nonetheless. A man has been found brutally murdered in his own home. The victim is Iain Kilbride, a once-famous TV star who has faded into obscurity. All signs point to a break-in, but why has nothing been taken? I came across this prequel to the DCI Matilda Darke series a little late, but absolutely relished reading about the initial setting up of the MIT and about Matilda's first faltering steps as she returns to work as a newly appointed DCI. Seeing Matilda's historic exchanges with familiar characters such as the irrepressible Ben Hales is an added bonus, and getting to peek inside her relationship with husband James is insightful. Although this is a short story, nothing feels rushed. The pace is steady and the story and characters have time to unfurl in an unhurried manner. The case itself is utterly gripping and cleverly written with the author's usual incredible attention to detail. I completely forgot I was even reading a short story! echo of Ridpath’s first case. records can’t be found and the murder count grows. his career, his marriage… And lives. When a detective goes missing everything is on the line. Can Ridpath close the case and save his colleague? Charley Willis was thirteen years old when her parents were killed in their family home and she was found hiding in a cupboard upstairs. Fifteen years later, Charley is marrying Seth Chambers. It should be the happiest day of their lives, a chance for Charley to put her past behind her, but just hours after the ceremony, she is missing. No one saw her leave. No one knows where she is. One thing is for certain…Seth is about to discover he doesn’t really know the woman he just married. And his nightmare is only just beginning. Oh WOW! I've not read one of Kerry's books for a while and how I've missed them! This deftly woven tale of intrigue caught my attention from the get go and completely ensnared me. I wasn't prepared for what was to unfold as the dramatic plot shared its darkest secrets, told from the perspectives of both Charley's husband Seth, in the present day, and Charley herself, via flashbacks. With more twists and turns than your average rollercoaster, The Wife's Secret will have you reading way past your bedtime and questioning every disappearance you will ever hear about again. It's full of suspense, familial tension and the author's brilliant attention to detail make this truly outstanding. When I haven't enjoyed a book as much as average review scores tend to suggest, I do something that's rather out of character for me, and read those other reviews prior to writing my own, in case I've completely missed the point, or fallen asleep at a crucial moment and awoken later having omitted to read some vital shred of the plot that ties the whole book together. The Wife Before Me has some rave reviews, but I felt so disappointed with it. Some aspects of it I thought were well done, such as the domestic violence. As a survivor and also someone who has worked in DV, I found it to be realistic. However, I found it confusing at times and it was difficult to work out who was narrating. The ending was the biggest disappointment of all, it seemed so illogical. I read the last sentence and, I kid you not, actually said out loud "What?! Is that it?!" I found it contrived and it also felt rushed. Thanks to Bookouture for the ARC via Netgalley. This is my unbiased opinion. TC is the wonder drug. Manufactured in secrecy on a remote planet at the edge of the galaxy, it makes worlds inhabitable; and Balcom Industrial lots of money. Then, suddenly, the people who need to take it to stay alive start to die! For Layla Balcom, fresh from wresting control of her father’s inheritance from those who would have destroyed it, the news is devastating. Can the drug be flawed? Or is something else going on? I very much enjoyed Ribbonworld, the first book in The Balcom Dynasty when I devoured it in virtually one sitting last year, so Jungle Green was an eagerly anticipated read for me. It was a real pleasure to catch up with Miles Goram again, the central character and unlikely hero of Ribbonworld. The story piqued my curiosity from the off, the author laying a trail of breadcrumbs but there's no hand holding and leading you from one clue to the next; some things you need to work out for yourself! The plot is interesting and cast of characters varied and well rounded - some seemingly lovely, others hateful! Richard Dee has a wonderful way of weaving a way with words, he's a masterful storyteller and I suspect he doesn't even realise this. When I'm reading one of his books, regardless of genre, I'm utterly transfixed and lose all track of time. There could be a monsoon (or anything else) going on outside, I really wouldn't have the faintest idea! I am really pleased to see a prequel is forthcoming, I can't wait to read that! Responsible for a string of heinous killings decades ago, Lillian is pure evil. A psychopathic murderer. And Amy’s biological mother. Now, she is ready to reveal the location of three of her victims—but only if Amy plays along with her twisted game. I have been feeling rather spoilt of late with the number of incredible female lead characters I've had the fortune to read, and DI Amy Winter is no exception! Although she appears somewhat of a closed book at times, the way this particular case interweaves with her childhood forces her to open up. She's a fascinating, multi-faceted character, deftly supported by an array of other characters that play their part in building the story. The way Amy's background pertains to the main case is intricately plotted, down to the very last detail. I enjoyed the amount of focus on the police personnel's home lives, it really brought the characters to life as well as satisfying my nosey streak! There were plenty of surprises that I didn't expect including one huge one. I thought I had it all worked out, but I was pleasantly surprised to be wrong! I'm a huge fan of the author's work, and am really looking forward to the next outing for DI Amy Winter. I received an ARC of this book via Netgalley; this is my honest review. DCI Matilda Darke is such a beautifully written character. She's strong - capable of barking out orders with a ferocity that demands results, yet has a beguiling fragility as a result of the most unimaginable emotional trauma. In The Hangman's Hold, Matilda faces losing her very sanity as she and her team hunt down a vigilante serial killer who has decided to take matters into their own hands. This is an intriguing book that grabbed my attention from the outset. The Hangman character is utterly creepy and made me feel uneasy enough to look over my shoulder as I read, but at the same time I felt compelled to keep reading to find out what they would do next! There are many personal and professional relationships within the police team that get tested to the max when the elusive killer seems to be out of their grasp. With more twists and turns than a hangman's noose, this novel also really made me think. When is a crime paid for? Michael Wood has managed to squeeze all the elements needed for a brilliant crime novel into a truly engrossing read. DCI Matilda Darke is fast becoming one of my favourite characters because she is just so real. I'd like to thank the author, Harper Impulse, Killer Reads and Netgalley for providing an ARC. This is my unbiased review. Awakening in a strange new world – red lights flashing by themselves, doors opening on their own, lights existing behind walls – Jerome wonders where it all went wrong. Under the scrutiny of Tathism, a new and fanatical religion, he wonders what happened to end the eight years of happiness. Reunited with his old friends, all of whom seem bound by immortality, he tries to accept this new world. However, The Reformation is eager to put to right the mistakes of the past. Now, with Tathites and The Reformation determined to find them, the group must make a choice – whether to try and find a way home, or remain drifters in the void of time. However is the choice even their own? Or is it really the calling of a deeper, otherworldly future…? This second volume of The Theurgy Revolution is a book I have been anticipating since the epic first volume appeared on my best reads of 2014. The wonderful cast of characters from the author's first novel are personalities that really sprang to life from the pages, so I had been wondering all this time what their fate would be. Jerome is a beautifully written character totally lost in the world he has awoken into, everyday objects that we take for granted are described perfectly. As the story progresses and the Tathites make themselves known, the author's use of complex language again comes into play and makes me use my brain (and google!). I don't want to give the plot of this sequel away, but meeting some familiar characters, the fascinating play between the different personalities and finding out unforseen secrets are all highlights. Personally, I cannot wait for volume 3 as I am dying to find out what happens next! Deborah’s son was killed four years ago. Alice’s son is in prison for committing that crime. Deborah would give anything to have her boy back, and Alice would do anything to right her son’s wrongs. They call it mother’s intuition, but can you ever really know your own child? Wow, this is such a masterfully plotted novel. Everything is planned out, down to the last intricate detail. It was a real pleasure to read and almost impossible to put down! There is plenty to keep you guessing, hold your interest and keep you up reading all night! Sam Carrington is one of those writers that has the knack of weaving all the threads of her story together so subtly so that you've not realised until the last moment. What a talent! One Little Lie contains some of the characters from Sam Carrington's last book, Bad Sister, in therapist Connie and police officers Lindsay and Mack. I wasn't expecting this, but it was a really nice surprise as I thought the characters had worked well in the previous book. This is a stand alone novel, so it's not necessary to read Bad Sister first, although there is a bit of reference to the previous case. Chapters are alternated from the points of view of Deborah and Alice, with Connie interspersed too, as she is caught up in the case too, as are Lindsay and Mack. I can't really say much more about it without giving any of the plot away, but there is an awful lot going on in this book, so you need to keep your wits about you! It's a very tangled web and utterly gripping. There are some truly shocking parts, emotional scenes too, but there are also some very touching parts, to bring in more light to all the darkness. It was great to get to know Connie a little better, and to see the interaction with her, Lindsay and Mack. I hope they will be all returning in another of Sam's books! 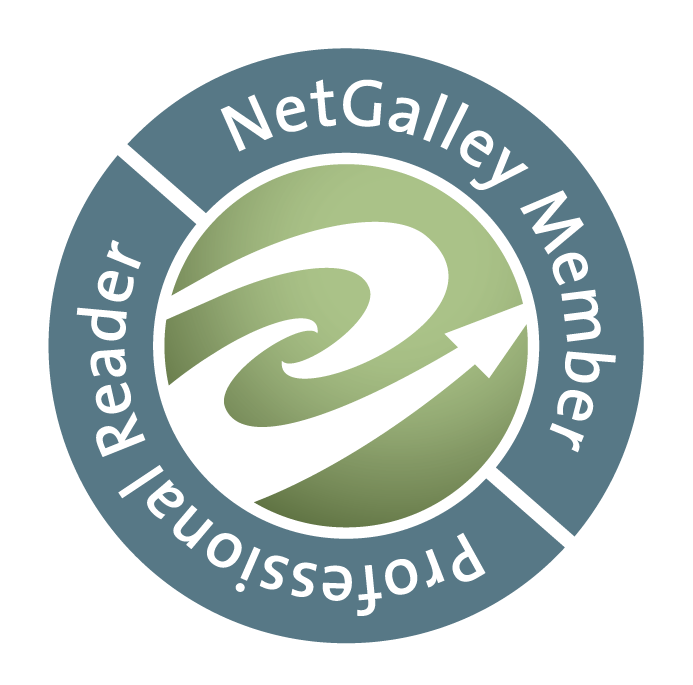 I received an advanced reader's copy from the publisher, via Netgalley; this is my honest review. Julie introduces you to the superheroes in each of these different food groups, shares the best ways to prepare them, explains their nutritional benefits, and then provides a variety of imaginative ways to include these foods in your diet every day, whether you're at home or on the go. As well as delicious recipes, Julie shares how you can improve your health and increase your happiness with meditation, affirmations, simple breathing exercises and gentle yoga poses. You can have boundless energy and glowing health, you just need to give your body the food and attention it craves and deserves. It really is that simple! Julie Montagu's no-nonsense approach to whole food, plant-based eating is quite refreshing in this rather overcrowded market. It seems that everybody is on a cleanse, doing a detox, clean eating or whatever the latest buzz word is, and Julie just explains things in simple English. No gimmicks, no hard-selling. The only reason I haven't given this 5 stars is because if you've read other books of a similar nature or have plant-based cookbooks already, there's not really any new information to be gained here. Having said that, the inclusion of breathing exercises and yoga poses may provide additional interest for some. There aren't many recipes here, for those who were expecting a complete cookbook; this is more a book of wellbeing, with a few recipes added. I received an ARC of this book from the publisher via Netgalley and this is my honest review. From the unforgettable teacher Jessamyn Stanley comes Every Body Yoga, a book that breaks all the stereotypes. It's a book of inspiration for beginners of all shapes and sizes: If Jessamyn could transcend these emotional and physical barriers, so can we. lt's a book for readers already doing yoga, looking to refresh their practice or find new ways to stay motivated. lt's a how-to book: Here are easy-to-follow directions to 50 basic yoga poses and 10 sequences to practice at home, all photographed in full colour. lt's a book that challenges the larger issues of body acceptance and the meaning of beauty. Most of all, it's a book that changes the paradigm, showing us that yoga isn't about how one looks, but how one feels, with yoga sequences like "I Want to Energise My Spirit," "I Need to Release Fear," "I Want to Love Myself". Jessamyn Stanley, a yogi who breaks all the stereotypes, has built a life as an internationally recognized yoga teacher and award-winning Instagram star by combining a deep understanding for yoga with a willingness to share her personal struggles in a way that touches everyone who comes to know her. Now she brings her body-positive, emotionally uplifting approach to yoga in a book that will help every reader discover the power of yoga and how to weave it seamlessly into his or her life. Wow...I love this book! Jessamyn's attitude is inspirational. Her body-positive approach to classes is fantastic and the way the book is written just outstanding. To write about her personal journey towards self love and body acceptance must have been such a difficult yet cathartic thing to do. To be at peace with her body now and to be such an inspiration to so many others as a yogi and such an influence via her Instagram account must bring her the happiness you see on her face. The yoga poses in the book are in full colour, and it is clearly demonstrated how to get into and out of each pose too. There is an emphasis on breathing, interesting chapters about the history of yoga, and lots of detailed information. This is probably the only yoga book you'll ever need! I read an ebook but have since got a printed copy for reference. I received an ARC of this book from the publisher via Netgalley and this is my unbiased review.